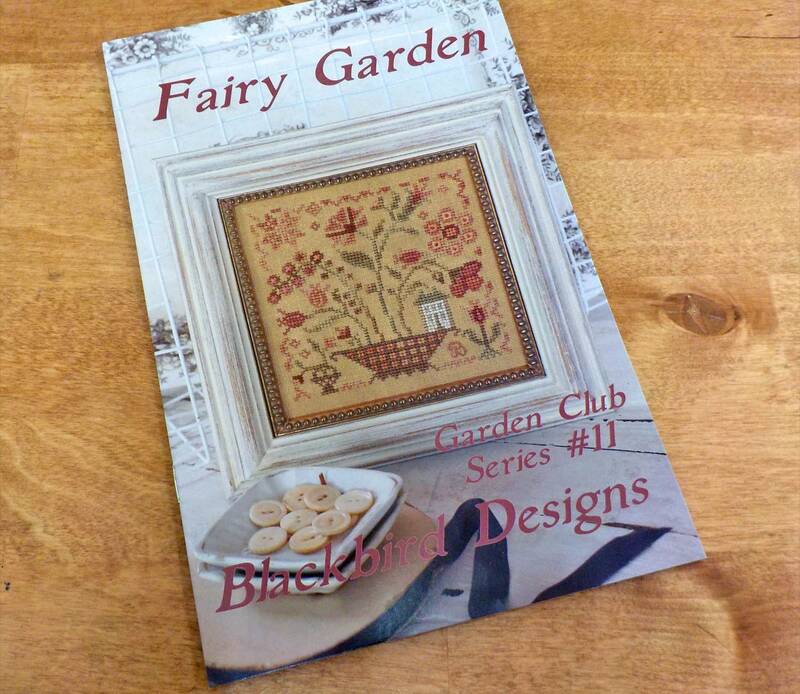 Fairy Garden, Garden Club Series #11, by Blackbird Designs...cross-stitch design. The Garden Club series is a great grouping of designs and each project is wonderful with the collection or a cute framed project all on its own or follow the instructions for making it into a pincushion. Fairy Garden finishes at 4 x 4 inches finished.